The High-Fat, Low-Carb Ketogenic diet requires a macronutrient ratio that is not so easily achieved just by cutting carbs from your diet. If you find it difficult to keep the high ratio of healthy fat in your normal food intake (60-75% of calories from fat) then the use of fat bombs can be a convenient way to source those healthy fats to balance your macro ratios. That is why I use keto fat bombs are part of keto diet strategy because they help me achieve a better fat-carb-protein intake balance. But if you are new to the ketogenic diet, you might not understand the concept of fat bombs yet, so let me explain. 1.1 What is a fat bomb exactly? 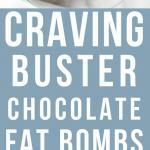 What is a fat bomb exactly? Fat bombs are small energy snacks packed with healthy fats but with a very low percentage of carbs and protein. The healthy fats from the fat bomb will curb your appetite and rev up your metabolism. 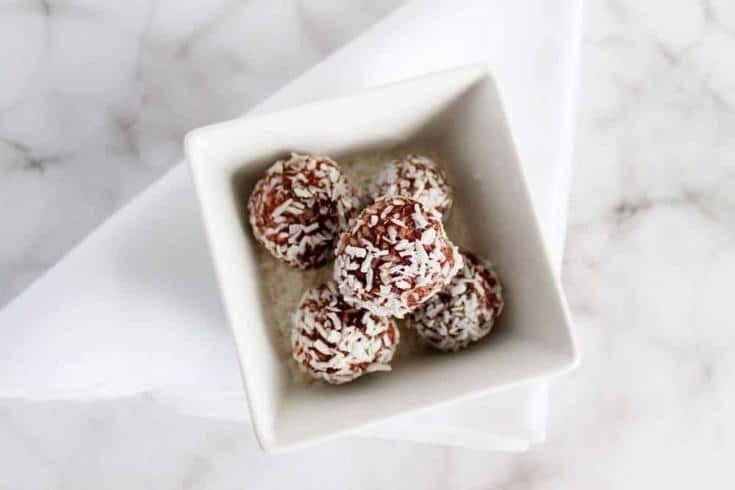 Although there are keto savory fat bombs, if you make a sweet version it will also work as a sweet pick-me-up treat for when sugar cravings increase. However they will allow you to stay on track of your low-carb diet and keep you in ketosis. The best high fat ingredients to make fat bombs are usually butter, cream, nut oils and seed butter. 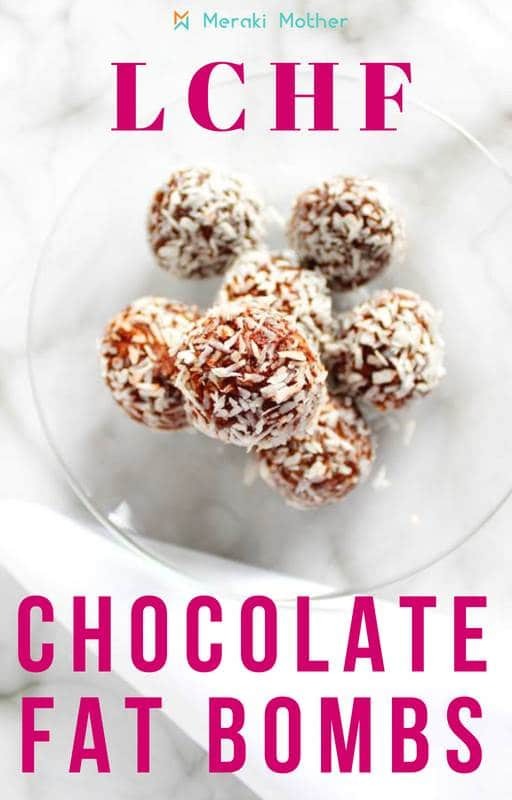 You can add other low-carb ingredients of your preference, here I added cocoa powder to make a dark chocolate fat bomb and the grated coconut for texture and extra healthy fats. Sometimes it is hard to get the fat bomb mixture to set enough that you can actually make balls of them by hand, in that case I advise you to use a fat bomb mold, that could be as simple as a ice cube tray. Looking for inspiration for your keto diet? Check out our list of the best keto snacks that the whole family will enjoy. 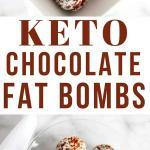 These chocolate fat bombs keto snacks are rich and very filling. Perfect for after a meal or just as a snack in-between meals. If you want to fill these with even more protein and health benefits you could easily add Keto Collagen. To make this recipe I was inspired by the Brazilian Chocolate Truffles (Brigadeiros), which are traditionally made with condensed milk. Obviously I couldn’t use that ingredient as it is the opposite of everything ketogenic. 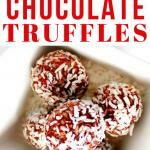 So I adapted the recipe to make the keto chocolate balls below with heavy cream. 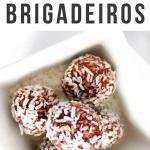 I hope you enjoy these keto brigadeiros! In a small saucepan mix the cream, cocoa powder and sweetener and bring it to low heat. The amount of sweetener will vary depending on the brand you use. Add one tablespoon of sweetener first, check whether it is sweet enough and add more accordingly. Keep mixing. The cocoa powder should have dissolved completely just before boiling point. From the moment the mixture starts to boil it will take approximately 15 minutes to reach the point that it will settle with a good consistency. Remember to keep low heat at the entire time and keep mixing. Don't stop mixing! If it looks like the mixture is burning you have to decrease the heat further. After roughly 15 minutes the mixture should have achieved a consistency of cake batter and form a mass that detaches itself from the pan completely. It is ready! When you pour the mixture out of the pan, the pan will be pretty much clean, without a lot of residue left. That is the settling point we want to see. 1. 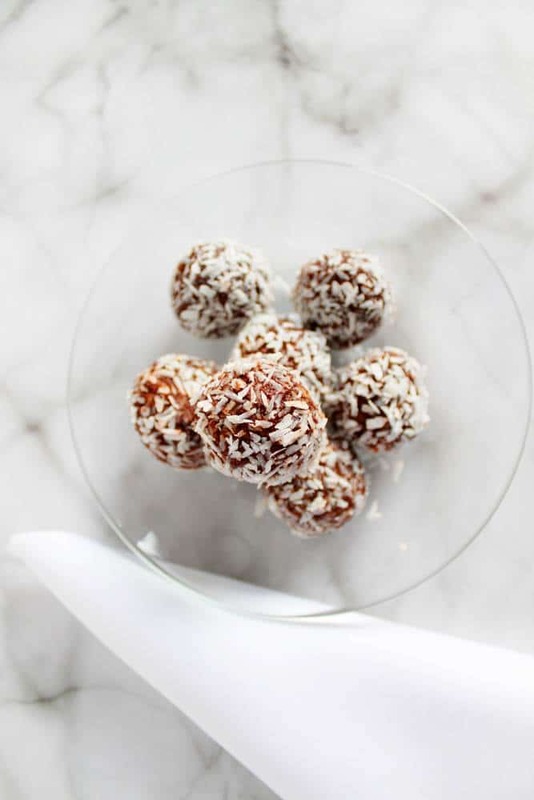 Use a chocolate mold or ice cube tray to create the fat bomb: Add a coffee spoon of grated coconut to the bottom of each compartment and fill it up with the chocolate mixture. Refrigerate till it settles. Once settled store them on an air tight container and keep it on a cool place (preferably in the fridge). 2. 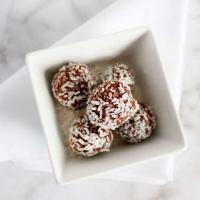 Make fat bomb balls (as shown): Pour the mixture on a plate. Wait till it cools off and refrigerate fro about one hour. 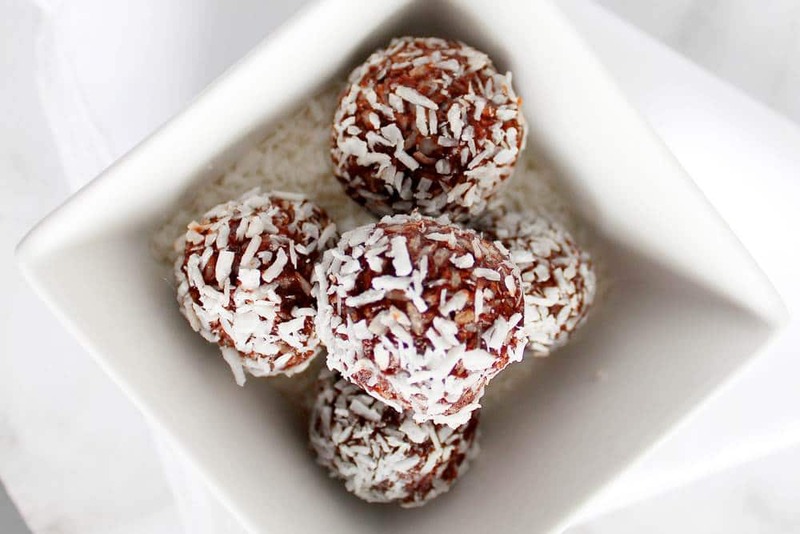 Wash your hand, it is time to roll the fat bombs into balls.The mixture should be of a consistency that you can make a ball with your hands. If it is a little harder, don't worry. The heat of your hand will immediately make the mixture a bit more malleable. It can be a bit fiddly and messy on your hand, just keep making the balls and wash hand at the end. Once all balls are rolled, add the grated coconut to a drinking cup. 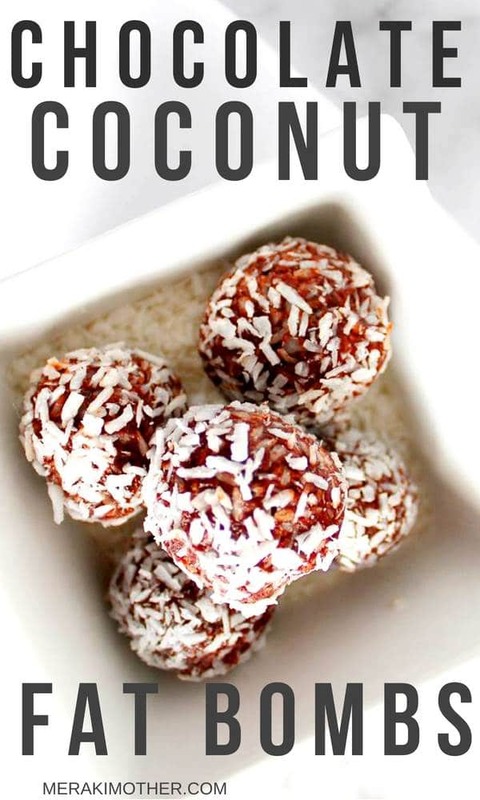 Add each ball individually to the cup and make circular movement with the cup until the ball is totally covered with coconut. Store on an air tight container and keep it on a cool place (preferably in the fridge). This fat bomb yields 15 fat bombs. Each contains only 1,1 grams of net carbs. This nutritional information is based on the brands I used, including the zero calorie sweetener. This may vary depending on the brands you use.